Desserts that delight the eye and please the palate! Our in house bakery strives to make eyes bulge and jaws drop with custom desserts to fit your sweet tooth needs. Pure ingredients mixed together in thoughtful and creative ways, make your next event’s dessert unforgettable. All cakes, breads and desserts are baked in house and available in a variety of flavors and styles. Keeping the family tradition alive, Pastry Chef Erin Burrell’s passion for cakes started at the young age of 12 working under the mentorship of her grandmother. Passing along homestyle traditions and family favorites, Erin took this knowledge and ran. Creative doors soon began to open in ways she had never dreamed were possible. “It is so fulfilling to be a part of a passionate group of Chefs that work together to create such amazing food”. Years of experience and hundreds of cakes later, Erin has been able to perfect her pastry skills and hone her talent for cake art. She strives to work with you and help create your vision to perfectly compliment your special day. Planning a Wedding? Let us help make your day even sweeter with our beautiful and delicious wedding cakes. 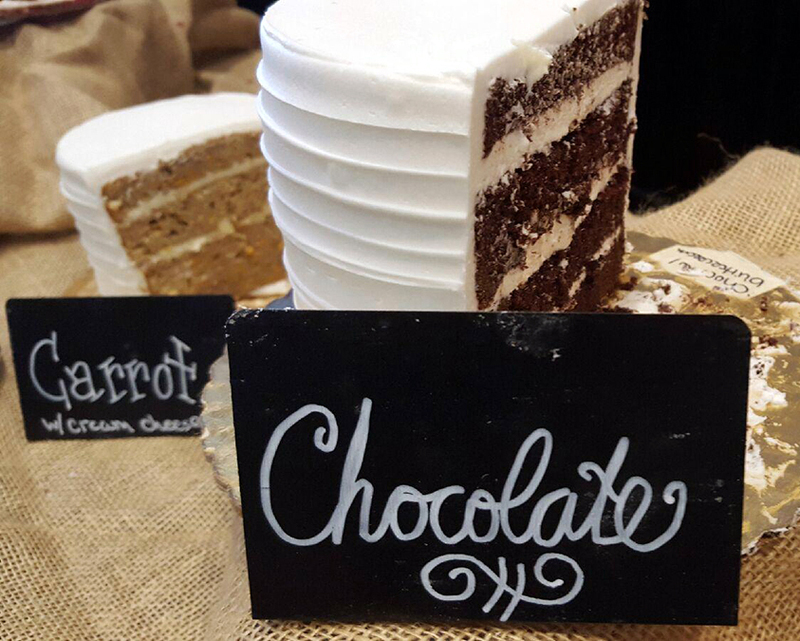 Our Pastry Chef Erin is happy to work with you to create a cake tailored perfectly to fit your needs. We offer complimentary private consultations to discuss and answer any questions to make your planning a little easier. “If you have the power to make someone happy, do it. The world needs more of that”.